The commercial space industry would look very different today without insurance. Given the historic failure rate of rockets and the technical complexities of satellite operations, very few private investors, financial institutions or commercial operators would find the space industry attractive without insurance to cover potential failures. As space commerce evolves to include new types of assets and activities, insurance continues to be an essential part of the financing for any commercial space venture and acts as the due diligence agent of technology. If the owners of and investors in launch vehicles, satellites and other spacefaring cargo are not able to obtain insurance, the commercial space industry would slow significantly and may even come to a grinding halt. This has not always been the case for NASA’s space programs where the “insurer” is typically the American taxpayer. Non-commercial space activity previously was funded exclusively by governmental bodies and national space agencies. Over the past decade, the U.S. government has been advocating the purchase of hardware and services from private companies that sell such services for commercial gain. NASA has also engaged in public-private partnerships where the government and the private sector share in the risks and rewards. However, because access to space exists on a best-efforts basis, the U.S. government is often left holding the majority of the risk when things go awry. As the U.S. government moves toward a more commercial approach, it may be time to consider using the same insurance principles used by the commercial space industry to transfer risk from the American taxpayer to commercial insurance companies, a change recently implemented for the second phase of the Commercial Resupply Services contract, CRS-2. NASA now requires contractors to purchase up to $100 million in property insurance to cover the value of the cargo in case of loss or damage. This is an addition to the third-party liability insurance contractors have been required to purchase to cover damage to private property and injury to the public during launches. However, commercial space insurance can cover much more than just launch failure. It provides coverage for satellite operators, manufacturers and launch providers during production, launch, initial operations and on-orbit operations. It covers almost all technical and financial risk, with few exclusions (e.g., war, terrorism) and is ideally suited for space assets where physical repair or recovery is usually impossible. Insuring the government is not a new idea. In 2016, before Jim Bridenstine left Congress to become NASA administrator, he authored the American Space Renaissance Act (H.R. 4945), which contained a directive to the U.S. government’s Accountability Office to prepare a report on the feasibility of NASA insuring its Class C and Class D payloads and cargo. While this act never became law, Bridenstine’s insurance proposal should be evaluated for all U.S. government space programs including launch and on-orbit performance of satellites for space weather, remote sensing, satellite servicing and GPS. There have been multiple failures in recent years involving U.S. government space assets. 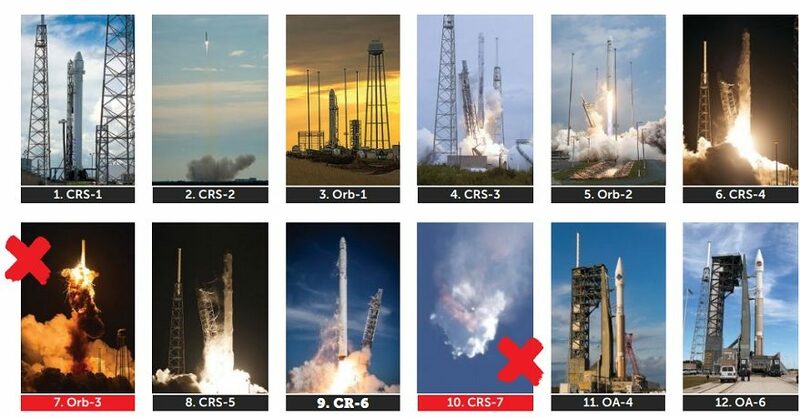 Cargo destined to the International Space Station was lost in the failures of Orbital ATK’s Orb-3 mission in 2014 and SpaceX’s CRS-7 mission in 2015. Assuming similar cargo values as specified for Cargo Resupply Services-2 contract, this represents a $200 million loss to the American taxpayer in 26 CRS missions. Estimated premiums for all flights would have been half this amount. Had insurance for the cargo been in place for these launches, millions of dollars would have been reimbursed to the NASA by insurers. Likewise, the recent anomaly of the U.S. National Oceanic and Atmospheric Administration’s GOES-17 weather satellite could also have been easily insured. The space insurance industry is a mature market. Premiums are at historically low levels, and new opportunities from human spaceflight, new launch vehicles and constellations are expected to give insurers the diversification that will keep premiums attractive. Policies are always conformed to match the underlying risk, and there is a knowledgeable and experienced pool of space insurers and insurance brokers in the U.S. ideally positioned to provide coverage. U.S. insurers could be encouraged to partner with the government to establish pools of insurance that would be available for all missions. Use of insurance by the U.S. government will not be straightforward. Following a loss, proceeds from the resulting claim could be directed back to the agency to ensure that the specific program or agency benefits, not just the U.S. Treasury. The recently updated National Space Strategy prioritizes regulatory reforms that will advance the American space industry and ensure the United States remains the leading global provider of space services and technology. One such regulatory reform would include the use of commercial insurance for U.S. government launch vehicles and payloads. Richard Parker has 30 years’ experience in the space industry and is currently divisional president of Assure Space, a company he founded in 2011. Assure Space, a subsidiary of AmTrust Financial based in Bethesda, Maryland, is an underwriting agency that provides space insurance for all aspects of the space industry.